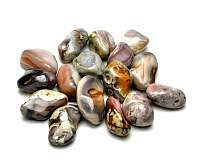 Septarian crystal palm stone combines all the metaphysical properties of yellow calcite, brown aragonite, grey limestone and white-clear barite, so it has properties of each of its component minerals, making it extremely powerful. It aids communication with our Mother Earth. 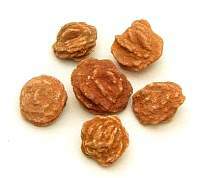 It is said to help in overall healing and health. 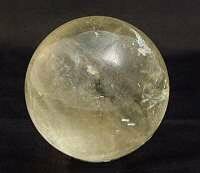 It is also a good grounding stone. 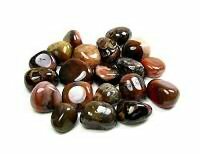 Septarian helps in banishing nightmares, negative energy and block psychic attacks. example psychic vampirism. 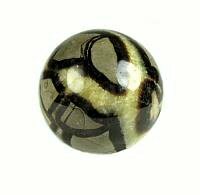 Septarian brings calming energies which have a nurturing feel to them, and can bring feelings of joy and spiritual uplifting. 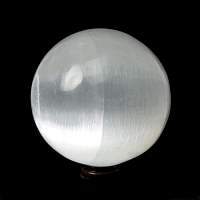 Septarian is used to enhance and nurture communication with groups and others, making it much easier to speak clearly and kindly in group settings, and to aid in being heard and understood. It is said to bring unconscious foreknowledge needed by the user to help him or her always be prepared for what is coming up. 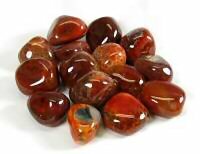 In crystal healing folklore Septarian is related to the lower chakras, root, sacral and solar plexus. 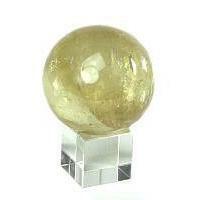 You will receive one stone, approx size 3 x 2.25 x 1inch thick, with minor variations in size, color and shape.